Specially coated polyester film with a double matt translucent surface which is suitable for printing on both sides. 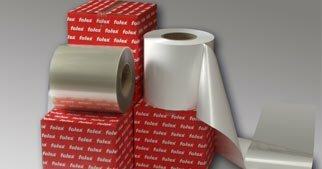 The film is heat stabilized for good flatness properties and the coating offers excellent toner bonding for image permanence. Suitable for Digital Presses from Xeikon and compatible brands. Not compatible with liquid toner Digital Presses (see Folex Digiprint -IG series). No preconditioning within the press required.